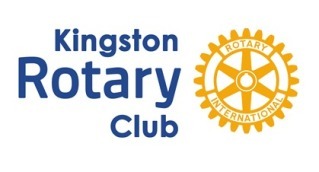 For more than ten years members of Kingston Rotary Club have been visiting local schools to conduct practice interviews with those in years 12 and 13 (age 16 and 17). 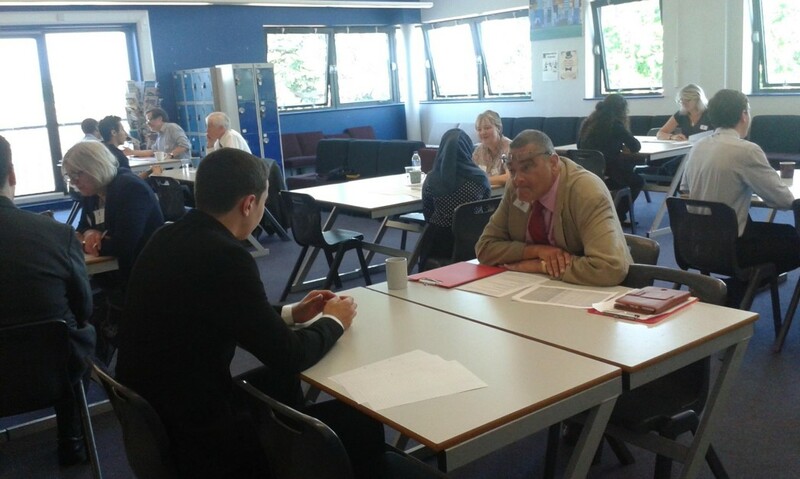 Aimed at giving these students practice to prepare them for real life interviews at colleges and places of work, these sessions are enthusiastically received by both the students and teachers, and supported by OFSTED. “That was brilliant. You’ve given me so many ideas”. 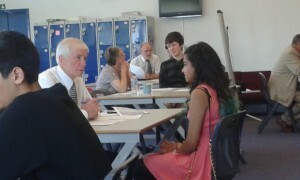 A student from Chessington Community College who had a mock interview. “I enjoyed my three mornings. Thank you for inviting me”. A new volunteer associate recruited to help with mock interviews. We had 8 interviewers who came from Kingston Rotary Club, Surbiton Rotary Club and Kingston Riverside Rotary Club as well as friends of Rotary. Rotary in the Royal Borough is making a difference.